The headjoint is an important factor in determining the tone. 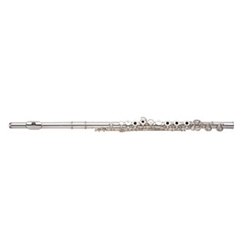 300 Series flutes feature a sterling silver headjoint, and a nickel silver body and footjoint. These features combine to provide a flute that offers both durability and a brilliant, singing sound!